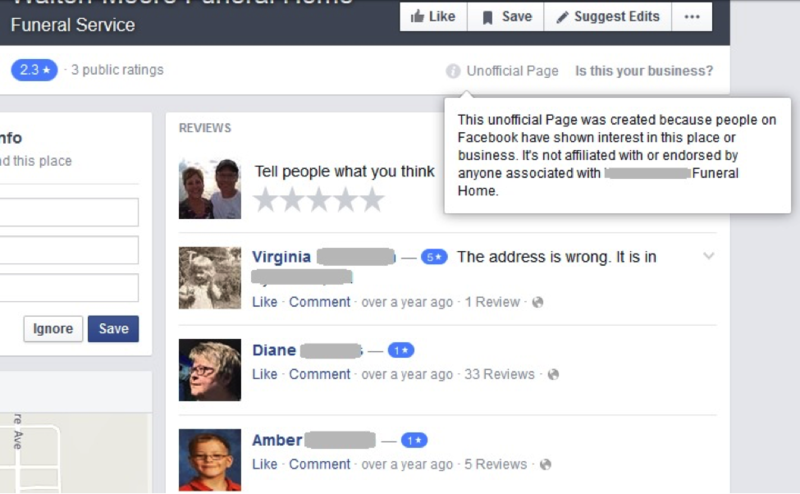 What is an unofficial Facebook page? We answered this question in an earlier blog but to review; an unofficial page is a Facebook business page that is created when someone “checks in” to your business with their smart phone. 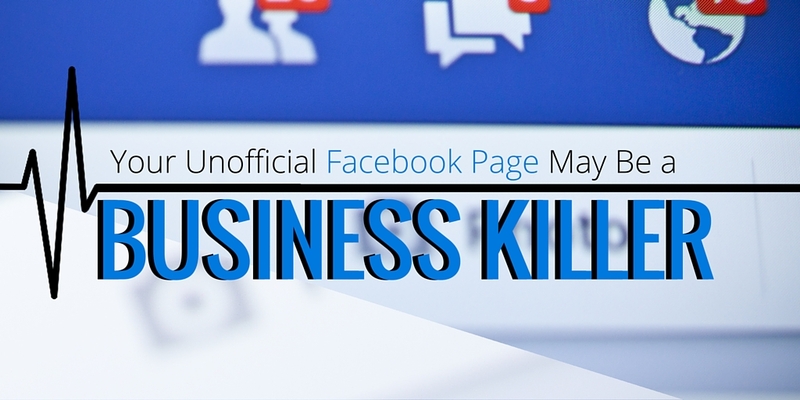 It’s so common for people to check in that, more often than not, your business has a Facebook page – one that you didn’t create and one about which you may be totally unaware. Think of it as a billboard for your funeral home that you didn't create and you don't know what it is on it and your entire community is viewing it and talking about it. Of course, if you have an active Facebook page that you or someone you’ve appointed is managing, then it’s not an issue…unless you simply aren’t paying attention to your page. If that’s the case, the concerns expressed in this article may apply to you. Disclaimer: you should always be searching Facebook for your business to make sure a user has not created an unofficial page. An unofficial or unmanaged page can easily be found by any Facebook viewer simply by searching for your business name. This means people are probably navigating to your page, they are viewing what’s there (or not there), and they may be leaving comments or reviews that are wide open for others to read. Are you concerned yet? You should be! When a reader does find a business page that is virtually blank, this tells them you are still functioning like it’s 1969. They may wonder whether you are keeping up to date in other aspects of your business. The use of social media is so prolific in today’s economy, viewers will form opinions about you based on the lack of any active Facebook presence. In 2016, social first impressions are like a first kiss, if it's terrible you run. You may think it is not right that Facebook enables or allows this kind of thing to take place, and you’d have a right to argue your point. 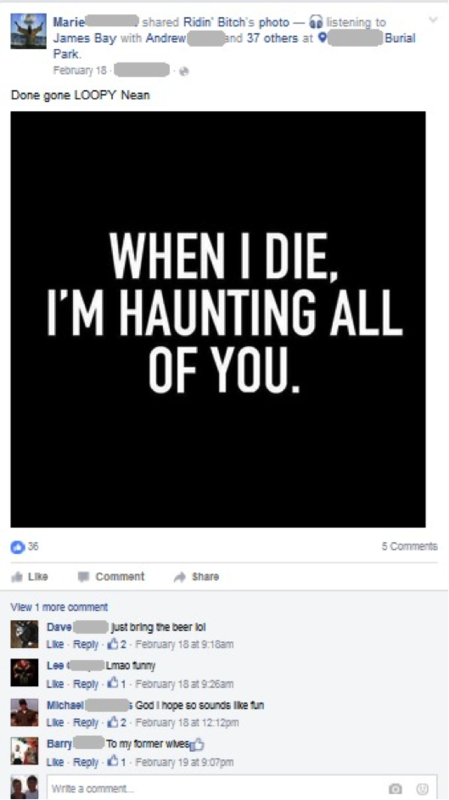 But it’s the way things are, and you had better drop what you are doing to rectify the situation if your funeral business has an unofficial or unattended Facebook page. Obviously, the best option is to take over the page and manage it well. If this would be too time consuming or difficult for you to consider, you can turn to the experts at DISRUPT Media. 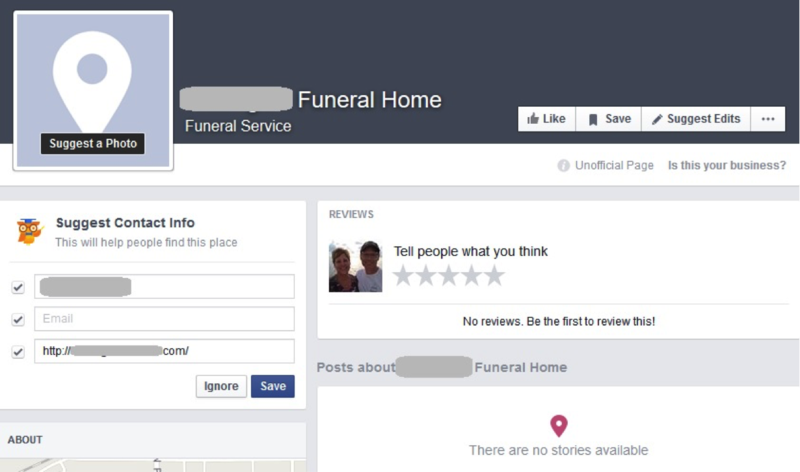 We will manage and optimize your Facebook business page to garner the positive attention your funeral home deserves. We can craft a Facebook strategy tailored to your business using our exclusive four part FUNERAL Social Design Process. Our process is what enables DISRUPT Media to claim that we are the funeral profession’s only full-service social media management firm. Our clients who are a part of our FUNERAL Social Design Process are seeing an increase in post reach and engagement of over 300%. DISRUPT Media is a social media first marketing company that focuses on social storytelling for funeral companies. DISRUPT uses insights gained through analytics to build creative campaigns that achieve actual business goals.